So ends another NFL Season with the Giants victory in Super Bowl XLVI. 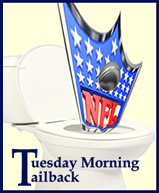 Tuesday Morning Tailback takes one more final look back at the 2011 season before going on a 28 or 29 week hiatus. I’ve never signed on to the notion that moving the final game out of a partisan stadium to a neutral location, adding an extra week in between, and piling on all the fluff surrounding the big game to reach a wider audience of non-football fans makes for a superior on-field product. Sunday’s Conference Championships each had a “goat” which cost the game for each losing team. We explore, a brief history of related goats, some for infamous than others. The Harbaugh brothers have each proven to be excellent NFL coaches as their teams, John;s Baltimore Ravens and Jim’s San Francisco 49ers, have each advanced to their respective Conference Championships. We now get to enjoy the playoffs which will eliminate eleven of the twelve playoff teams and crown a world champion on February 5th. But first, we have some regular season B.S. to clean up. A preview of the final day of the NFL regular season as well as a scorning of the idiotic schedule makers in the league who moved around the game times. 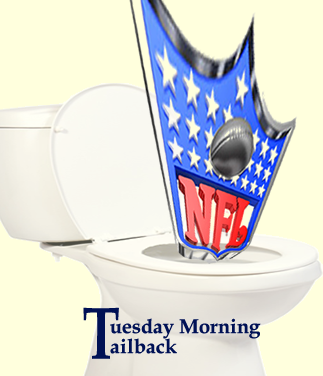 We celebrate the one year anniversary of the initial Tuesday Morning Tailback article with a special, multi-subject look at the past week in the NFL. 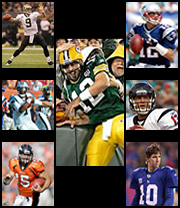 With just about every major record in play and some incredible stories of the unexpected, we name the seven quarterbacks who will make 2011 a year for the ages. In our second consecutive look at the media hype in the NFL, we explore the incredible turn-around in the perception of Tim Tebow in just five short weeks. Constantly hyped by the media, “America’s Team” the Dallas Cowboys are once again being crowned far, far too early. But as recent history has shown, November’s champions become January’s chumps. What the hell is going on with all these home teams blowing divisional games? 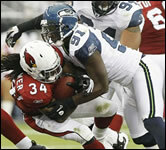 Is this a sign of more competitiveness in the NFL or just a sign of rabid mediocrity? This week we will give our assessment of the season so far and analyze how accurate our own predictions were two months ago with our 2011 Season Preview, as well as offer further predictions of what we think will happen down the stretch. The BCS was established in 1998 to avoid the contraversy of a “split” National Champion based purely on polls. But it has failed miserably on several occasions since, and for true football fans the college game is swirling down the toilet faster than ever. Last night was a fun night of schadenfreude for Philip Rivers haters like me, as he threw two early interceptions and then fumbled a snap late in the game that ultimately gave Kansas City the victory in a crucial divisional game. But why do I have such animus towards this football player? Less than halfway through the season, Drew Brees has 18 touchdown passes and leads the league with 2,477 yards, well on his way to his sixth consecutive 4,000 yard season, which will tie an NFL record. 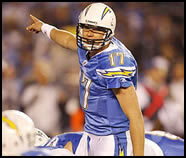 Yet t seems like this constantly underrated QB seems to once again be falling under the radar. Why can’t a serious football fan get serious analysis without the hype and marketing tie-in? 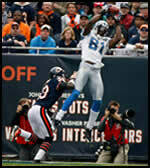 I would just like to appreciate some of the fantastic on-field feats that Detroit Lions wide receiver Calvin Johnson has been doing this season, but the sports media has insisted on blowing him out of proportion with the ridiculous nickname “Megatron”. The NFL lost a true rebel this week when Raiders owner Al Davis died on Saturday. If you’ve paid attention to the blitz of coverage on Davis’ passing, you will have heard his long list of accomplishments. But what truly made Al Davis an original was his fearlessness in making unpopular decisions. The flamboyant display of pink on the playing field has, frankly, run its course. I’m not in any way saying that the NFL should abandon the cause of breast cancer awareness, I just think it is a bit over the top to splash it around so prevalently, chipping away at the integrity of the game. On the field itself, it should be 100% about football. Man, you’ve got to feel it for the Minnesota Vikings fan. The team which has an infamous history of getting really, really close but collapsing at the end, has lived this out in a microcosm over the first three weeks of the 2011 season, as they’ve blown substantial halftime leads only to lose each game and start off the season 0-3. 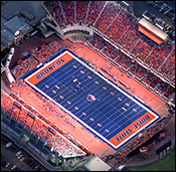 This past Sunday, the ESPN show “Outside the Lines” focused on Denver Broncos quarterback Tim Tebow saying “this third-string quarterback polarizes the football world”. Yet this same network, along with the rest of the football press, rallies behind the “redemption tour” of Michael Vick, a figure who actually has done much to polarize. A rant on the tendency to destroy tradition in favor of trend in various elements from stadium naming to uniform design to Monday Night Football to Tuesday Morning Football. Today we will put our own credibility on the line by making our own picks, division by division, and analyzing how we agree or disagree with all of you. We do this knowing that there is so much unforeseen in any given NFL season and we sincerely doubt that we’ll get get all of our picks correct. But we promise that we will not act as know we knew it all along when one of these teams takes us for surprise.